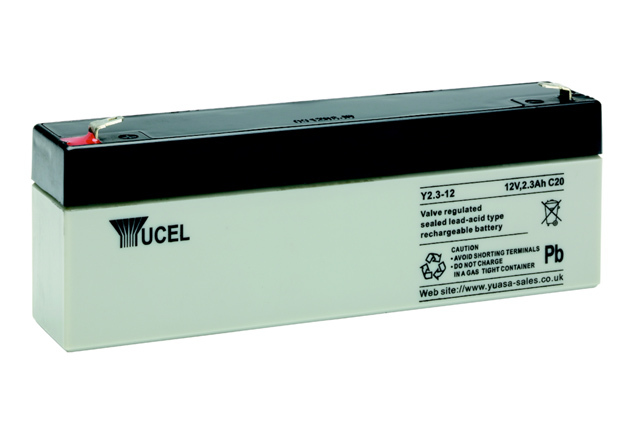 The Yuasa Y2.3-12 battery, part of the Yucel series, has been designed to provide compact and energy dense lead acid battery solution that can be utilised in a wide choice of applications, including security equipment, emergency standby lighting, toys, fire alarms and much more. This battery has a fully sealed case to ensure no leakage this battery and can be used in various orientations (with exception to continuously inverted) thanks to the absorbed glass mat (AGM) electrolyte suspension system. The terminals are a ‘faston’ tab design which enables a quick slide on and slide off connection making sure installation of the Yuasa Yucel Y2.3-12 is a fuss free operation. This battery is virtually maintenance free due to the simple but effective design, excellent gas recombination and convenient terminal type. 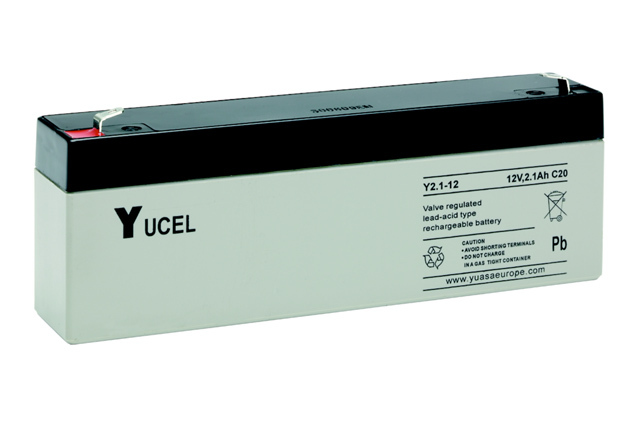 Blue Box Batteries are approved Yuasa battery vendors, and are proud to include the Yuasa Yucel collection as part of our extensive catalogue of sealed lead acid (SLA) batteries. Call our team today, we are on had to provide any assistance you may require. 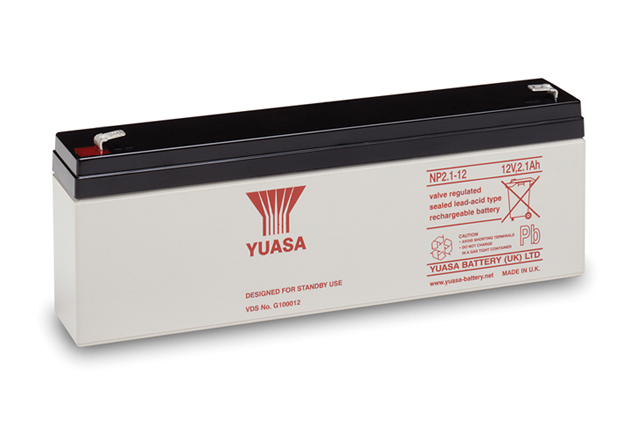 Is the Yuasa Y2.3-12 a rechargeable battery? Yes, this is a rechargeable battery and should be charged immediately after use. Blue Box Batteries do offer a range of chargers to suit Yuasa battery products, please contact us on 02381 789197 for any advice required. Can can this battery be used on its side? 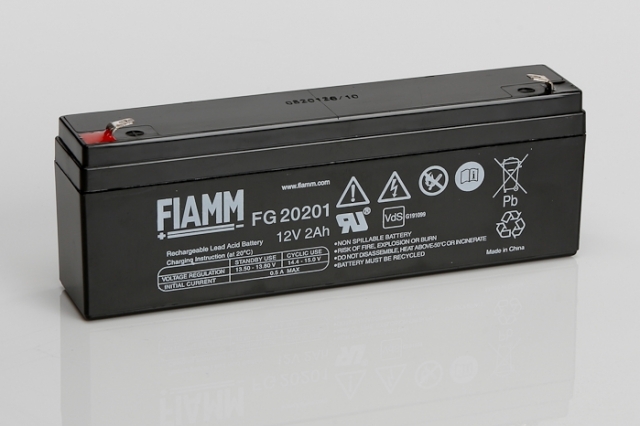 This battery can be used in various orientations though should not be operated upside down. Will this battery arrive to me in a fully charged state? The Yuasa NP2.3-12 will be delivered in a high state of charge, around 90-95% approximately. We recommend charging the battery prior to use.